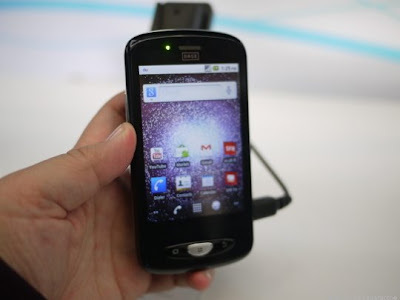 ZTE, the fourth largest cell phone manufacturers in the world, has showed three different smart phones in the Mobile World Congress 2011 held in Barcelona, Spain. STE Skate, STE Blade and ZTE Amigo. As the sophisticated Android ginger Bread OS powered ZTE Skate and ZTE Blade has already been shown before, naturally the attention turns to the cheaper middle range phone ZTE Amigo. It will be released in UK mostly in the month of May. Though the cost of the phone is not announced yet, it is expected to be in the affordable price range. 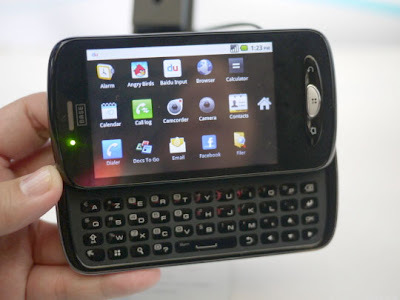 The key feature of ZTE Amigo is its physical slide out QWERTY key pad with four rows of keys. Even after the entry of so many smart phones especially in this year, there is not much Android smart phone with QWERTY key board. So there is a good share of market still to be explored in that case. Amigo has a 3.2 inch display screen similar to ZTE Blade. But Amigo is expected to be the cheapest of the three and so the build quality will be a little less than the rest two. ZTE Blade has an impressive set of specifications including a 3.5 inches touch screen display with 320x480 pixel resolution and a Google Android v 2.1 operating system. It was released last year and an upgrade in the OS of the phone from v2.1 to 2.2 is promised by ZTE in this year. The OLED display version of Blade is also present in the UK market. It has a 3.2 mega pixel camera for taking pictures and videos. 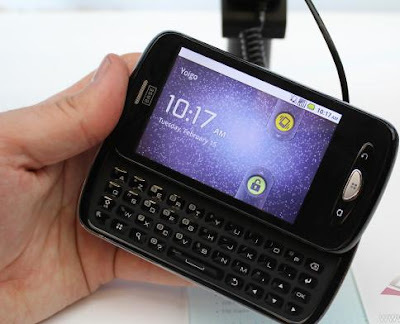 ZTE Amigo has a 3.15 mega pixel camera without flash, triple band GSM and 1900/2100 HSDPA. The processor used in Amigo are not specified yet. But there will not be a very fast or sophisticated one since ZTE Skate, being the high end phone in all the three, has an 800MHz Qualcomm silicon processor. ZTE Skate runs an Android Ginger Bread v 2.3 processor. It has a 4.3 inch WVGA capacitive display, triple band GSM and HSPA in the range of frequency 1900/2100 MHz and a five mega pixel camera. So in effect ZTE is equipped with three different smart phones which belong to all the price ranges and will satisfy all type. It shown how they managed to be the world’s fourth largest mobile phone manufacturers from a name not much people recognized. The simple strategy was to sell affordable phones in emerging markets in large number. It feels good to know that the world cell phone market has still room for emerging new manufacturers even in the presents of giants like Nokia, HTC, and Samsung etc.